We’ve fallen into a tradition of visiting a new wine region each season, with a bit of wine education and a tour to round out our year. I love a good glass of wine – don’t get me wrong – but for me, the experience of wine tasting is about so much more than wine. It’s about culture and history along with landscape and tradition. Sipping wine in a city wine bar is far different from tasting that same wine on its home turf, where it’s much more of a rich sensory affair. In a tasting room, learning about wines and local varietals with wine makers is something special. In many places, the tradition of wine making is one that’s passed down through generations, and young wine makers are products of family heritage mixed with new technologies and innovative techniques. In the last four years, we’ve sipped our way through La Rioja in Spain, Franschhoek and Stellenbosch in South Africa, Napa and Sonoma in California, and the Golan Heights and we weren’t going to miss the opportunity to add a new region to our repertoire this year. Croatia has become increasingly well-known within the global landscape for many things, from a gorgeous Adriatic beach scene to its stunningly iconic cityscapes prominently photographed in places like Dubrovnik and Split. The wine scene takes a bit of a back seat, but is moving ever more to the forefront of wine lovers’ minds, and that’s not without merit. For wine tasting in Croatia on the Dalmatian Coast, head to the Pelješac Peninsula (pronounced PEL-yuh-shatz) , just an hour’s drive north of Dubrovnik. The best advice? Enjoy the ride and be open to learning, tasting, and understanding the way wine has evolved in Croatia. The Zinfandel that we know – a prominent varietal in California – actually has roots in Croatia’s Plavac Mali, their primary red wine grape on the Dalmatian Coast. To be honest, wine tasting on the Pelješac Peninsula was a bit intimidating initially for us because their varietals are totally different from what we’re used to trying. For anyone that’s tasted before, you’ll be familiar with varietals like Merlot, Cabernet, Pinot Noir and Sauvignon Blanc. Croatia brings a whole new ball game with varietals like Plavac Mali and Pošip prominent on the Dalmatian Coast or Teran and Malvasia, more prominent on the Istrian Peninsula. For our day of wine education, we headed out for wine tasting on the Pelješac Peninsula with Sasha from D’Vino Wine Tours in Dubrovnik to learn the lay of the land and enjoy some oyster tasting and wine tasting along Croatia’s most famous wine making peninsula. The best advice? Enjoy the ride and be open to learning, tasting, and understanding the way wine has evolved in Croatia. Most folks visiting the area, even the biggest wine lovers and enthusiasts, won’t be overly familiar with the varietals you’ll be tasting so you’re not alone. Much to my surprise, the wines on the Pelješac Peninsula were some of my favorites to date! The scenery grows ever more beautiful as you leave Dubrovnik and head towards the winelands, with rolling hills and glittering sea dominating the landscape. Our first stop along the Pelješac Peninsula was in Mali Ston, an area famous for its oysters. The area is responsible for the majority of Croatia’s oyster production and its a tradition that goes back centuries for some families. If you’ve ever tried shucking oysters before (we have, very unsuccessfully), it can be a difficult skill to master. The grand dame at the head of Skoljkarstvo Bebek makes it look like child’s play, shucking oysters in seconds and presenting them to eager tourists wanting a taste of the sea. There are opportunities to delve deeper into the oyster scene if you’re interested and the family can assist with tours that explain the process even more in depth. We saw the oyster beds and learned a bit about the economics of cultivating oysters in Mali Ston; it’s a tough business to be sure, but one that’s appreciated by visitors along the peninsula. We slurped up morning oysters raw at first, then doctored up with our choice of pepper sauce, lemon or both. You’ll remember that I went on an oyster binge in Nantucket earlier this year, and these oysters are totally different from East Coast oysters. Prepare for something a touch saltier, and as fresh as can be. For those wanting some homemade goods, like honey, jams, and liqueurs, Skoljkarstvo Bebek offers those, too. 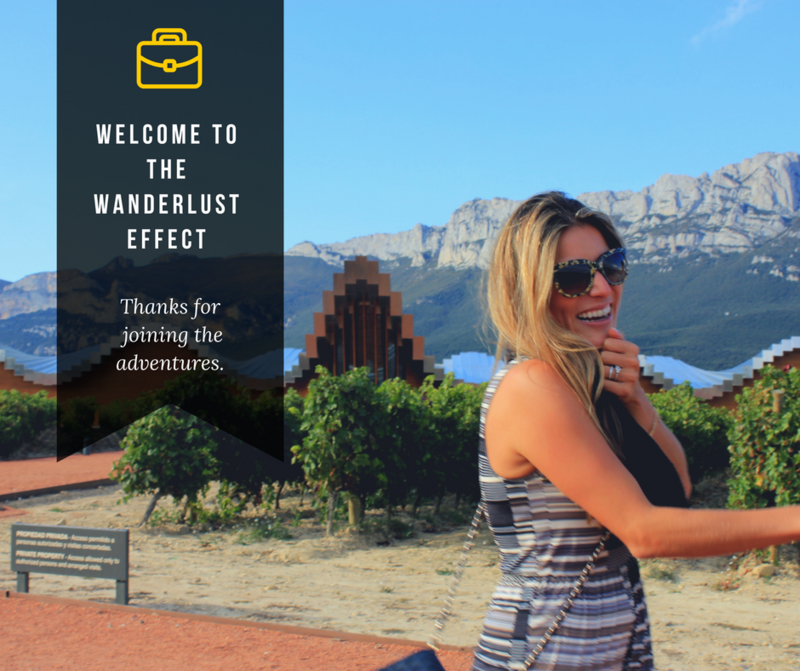 Filled with oysters and ready for some wine tasting, we made our way to Marlais Winery, the first stop on our gluttonous day of eating and drinking our way through the Pelješac Peninsula. As I mentioned earlier, we’ve wine tasted at a range of wineries around the world, some grand and glittering, some wineries that are more like roadside stands, and a number of boutique family-owned varieties that have a true passion for wine making. Our wine tasting in Croatia primarily brought us wineries that fell into the latter category. I love a glitzy sparkling wine tasting once in a while but I much prefer smaller wineries that have a genuine family tradition of wine making and a passion for sharing that knowledge with visitors. Enter Marlais, a family owned winery with a cozy tasting room and a production facility that highlights the personal quality of the wine making during each step of the process. The grapes are handpicked, wines are hand bottled and then hand labeled, with 15,000 bottles produced annually. They’ve mastered their craft, bottling about 200 wines per hour in an assembly line. We were able to meet and learn from one of the owners, who shared Marlais’ family practices with us, along with four of their wines: a white blend, a rosé, a red, and a dessert wine. We are a family of different palates – for me, the big tannic wines aren’t usually a hit, while Scott prefers those big flavors. The highlight for me was their rosé, a deep pink variety that brings the perfect hint of strawberry for a great summer drinking wine. As is the case with wines along the Pelješac Peninsula, bottles prove to be a great value, so it’s a fun opportunity to stock up on your favorites (try these Wine Skins for transporting your wines) since the majority of wineries don’t export. Miloš Winery brought the largest scale production of the wineries we visited in Croatia, with an annual production of about 50,000 bottles and exports to the United States (primarily Northern California). Their 2003 Plavac Mali was notably compared with Opus One, a testament to some serious mastery. All that being said, don’t let that take away from the fact that the Miloš family is a tribe of wine makers through and through, cultivating a tradition that’s been part of their family for centuries. Croatia has an interesting history with wine making since there was a period of time that the socialist system didn’t allow competition from wineries. During that period, wine making was more of a cooperative system, with all producers’ reds being put together to make a single red wine and all whites being put together to make a single white wine. The Miloš family were some of the original wine makers in the region, with a history dating back centuries. They were making wine before the socialist system, through it, and strongly after it to reinvigorate the post-socialist wine making industry where Ivan’s father, Frano, was a pioneer in the Croatian wine making landscape. Their approach to the notion of competition is a refreshing one: for them, competition helps up the game in wine making, encouraging producers to continue to put out ever-better wines in the marketplace. Ivan Miloš (pictured below) provided the tour, the history, and the tasting for us. The family follows a naturalist approach, which means producing organic wines with no additives (for us wine drinkers, that means no nasty hangovers). Of all the wineries we visited, Miloš offered the largest variety, of which we tasted three wines and their award-winning olive oil. After a bit of history and a short tour, we headed to their tasting room, a brightly lit space with a perfect bar to gather around for tastings. We started with their rosé, which was a totally different rosé than we’d experienced at Marlais. Unlike the easy drinking summer wine from our first stop, this rosé is something you’d drink with a meal; something a bit more substantial. Then onto their Plavac Malis, one from 2013 and one from 2007 (their 2007 was my favorite). Finally, we ended with their olive oil, a grassy-flavored oil that won the New York International Olive Oil Competition in 2013 and 2014. If you’re looking at taking home a case of vino, talk to them about shipping so you can avoid lugging the extra weight around during your trip. Grgić Winery may win when it comes to prettiest location. To be honest, their wines weren’t my favorite but their location is pretty spectacular, perched perfectly on a tiny peninsula that offers sea views from their tasting room. Being from California, we’re familiar with the Grgich Hills Estate in the Napa Valley (the spelling of their last name has been altered to make it more legible for American phonetics) so a stop at the Grgić Winery seemed necessary! They serve up just two wines: a Pošip and a Plavac Mali, both made substantially better by the views. When driving through the Pelješac Peninsula, you’ll see the incredible slopes where the grapes grow. For some wineries, this involves people essentially rappeling down mountainsides to pick the grapes for wine making. We met many people along the way who’d experienced this process themselves, teetering down hillsides to hand pick grapes that were used in family production. During your drive around the peninsula, you’ll see incredible slopes along the way where grapes are staunchly growing despite the tough conditions. Have I told you about my secret dream about staying at an agriturismo in Italy? There’s something about the extreme farm-to-table approach and homey atmosphere that seems next-level captivating to me, and every year I look to the Med for a cool agriturismo offering to counterbalance some glam seaside stay. As it turns out, Croatia, like Italy, has agriturismos dotting the landscape where hearty meals are served up using local produce and inputs. My main lesson after dining at one? Go hungry. Sasha had coordinated the day for us, so we were in for a bit of a surprise as far as lunch was concerned, and it was a highlight for all of us. We found our way to a cozy table in the back of the restaurant, where meat was curing all around. I don’t eat meat (fish yes, meat no), but I’m okay in settings like this. Serious vegans who are offended by the sight of meat – steer clear. The family was gracious with my dietary restrictions, preparing a cheese plate for me in addition to the cheese and charcuterie platter prepared for the rest of the family as our starter. For my main, they prepared an incredible vegetarian lentil soup while the rest of the crew noshed on veal and lamb (prepared ‘under the bell’), served on a bed of potatoes, which as it turns out, Croatians know how to do extremely well. The portions are enormous, and are paired with never-ending table wines (white and red) along with grappa and house made after dinner liqueurs. Also, be ready for the best bread you’ve ever had in your life. Seriously, it’s prepared under the bell as well (a traditional Balkan way of preparing food under a metal dome in the oven), and it’s worth every calorie. Everything served up is prepared on site, which means cheeses, meats, olives, greens, and even wines are prepared fresh. For dessert, expect fresh fruit from the garden – the perfect finale to a veritable feast. Especially with a group, there is hardly a better lunch experience to be found the world over. I will tell you one thing: wine tasting after a big lunch and many glasses of Plavac Mali is very different from starting your day fresh-faced and bright-eyed. Fortunately, we had Anto Grgurević from Grgurević Winery to welcome us and give us an energy boost with his enthusiasm for wine making. At just 30 years old, Anto has been making wines for 12 years with his family and blends family tradition with education and innovation. He’s taken the reigns of the wine making process and the Grgurević winery is producing a range of wines, including the elusive orange wine which we’d never seen before setting foot in Croatia. Us with our wine from Anto – brought in by the chef! As it turns out, Croatia’s wine community is fairly tight knit. Sasha, who led our tour and owns D’Vino Wine Bar in Dubrovnik, has a close relationship with many small producers, but we were pleased to find out that private chefs that we hired in Hvar (more on that soon) also work with the same small producers. Ironically, during our dinner with wine pairings, the chef pulled out a bottle of Grgurević wine to serve up – and we couldn’t have been more excited having met Anto ourselves! We tasted the rosé, the orange wine, a Pošip and a Plavac Mali during our time at the winery, but none compared to the bottle that we had during our dinner. The Grgurević family are sold out for some of their best sellers faster than they can produce them so some of the wines available at restaurants and wine bars may be different from what you get to taste at the winery. As we left our day of wine tasting, we headed back around 7PM, watching the sunset as we pulled into Dubrovnik for the evening. Dubrovnik is a gorgeous city and I have many photos to share soon, but for those that have more than a few days in Dubrovnik, it’s worth escaping the touristed city and enjoying some of the stunning countryside and wine tasting on the Pelješac Peninsula. In so many ways it still feels like Croatia’s best kept secret. Have you been wine tasting on the Pelješac Peninsula? Which wineries and wines were your favorite?